Over the last few years, Volvo has ostensibly been preparing to launch an ambitious autonomous vehicle pilot program called Drive Me. The project was first hinted at in April 2014, when Volvo described a fleet of 100 self-driving cars on the roads around the Swedish city of Gothenburg. About a year later, in in February 2015, Volvo provided additional details about what exactly it planned to do with those self-driving cars. The company announced that, by 2017, those 100 autonomous vehicles would service citizens in and around Gothenburg. In April 2016, Volvo upped the ante even further, saying that its 100-car program would roll out in China and the UKat the same time as Sweden. Volvo even went so far as to say that its driverless cars would operate in “unsupervised” mode on certain roadways, meaning that people in the driver’s seat could read or watch movies at their leisure. Those keeping a close eye on these developments have noticed that Drive Me did not launch to great fanfare in 2017. In fact, it did not launch at all. With days to spare in the calendar year, an Automotive News Europe report revealed that Volvo’s Drive Me would not only be delayed, but significantly scaled back from the self-driving program that was promised back in 2015. The Gothenburg initiative will no longer feature 100 self-driving vehicles, but rather 100 people as participants in the driverless trial. The “self-driving” terminology may be a stretch, too, as Drive Me cars will debut with Level 2 autonomy, something that is already available in various consumer automobiles. 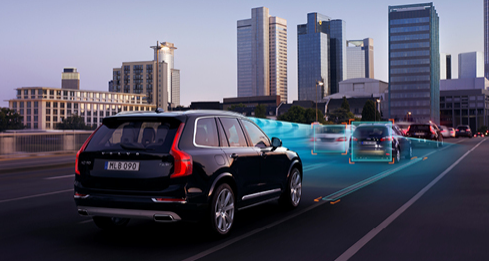 Volvo says it won’t be able to have Level 4 autonomous systems on the road until 2021. “On the journey, some of the questions that we thought were really difficult to answer have been answered much faster than we expected. And in some areas, we are finding that there were more issues to dig into and solve than we expected,” Volvo AV director Marcus Rothoff told Automotive News Europe. Volvo cited numerous reasons for the delay: making sure it don’t betray customer trust by releasing an unfinished product, cost-prohibitive hardware, and the difficulty of designing electrical architectures for these vehicles. But one reason stands out as rather odd: AV technology is advancing too quickly. There’s some logic there — figuring out which Lidar company to hitch your wagon to is a big decision — but the overall reasoning folds under scrutiny. How can a company that has failed to deliver a much-hyped product blame the fact that technology progressed at a rate even faster than initially expected? Delays and postponements are part of business. And frankly, in an industry that is currently long on bold pronouncements and short on cars that can actually drive themselves, we’ll likely see many more delays in the AV sector in the next four or five years. The fact of the matter is that building driverless cars is still a very hard job, no matter how many rosy predictions knowledgeable people continue to make about their rollout. But coming to grips with this reality may help Volvo be better prepared when its autonomous vehicles are eventually ready to take the road.